Broadcast TV — Just about every production sleep-aboard boat ever made was shipped with a broadcast TV antenna. If it was manufactured before the mid-2000s that antenna is probably tuned for both VHF and UHF. Now that nearly all US over-the-air television transmission takes place on, UHF antennas can be much better tuned for this single band of frequencies. 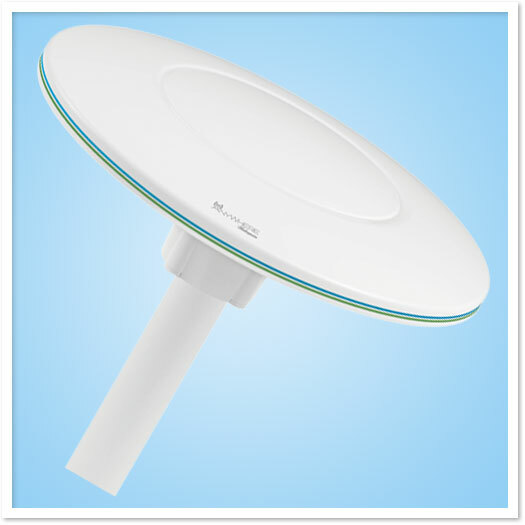 Satellite TV — Either from a fixed mount dish on a piling at your slip or from a tracking, stabilized dish that works underway and allows reception all the time. In some circumstances, satellite service can be an extension of existing home service so the boater only pays for an additional TV. Cable TV — A cable TV drop is delivered to your slip, possibly by your marina or via direct subscription with a cable company. When the boat is in the slip, you connect the boat to the cable; when you’re away from the slip you don’t get any programming. Streaming services — Sometimes known as cord cutting options this covers a wide range of entertainment services streamed to you via the internet. These can be perfect for on the boat but require a robust internet connection. Currently, there are so many options for how to receive TV on your boat that trying to evaluate all of them could make your head spin. 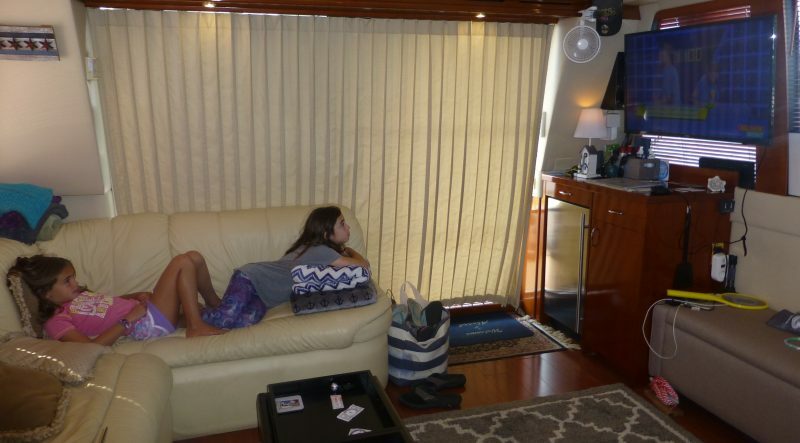 So it makes sense to look at how you use your boat, how much TV you watch and how important it is to have TV on the boat (otherwise known as how much you’re willing to spend). TV is a pretty regional thing, even the satellite services serve a single country (though frequently with pretty wide borders around the country). 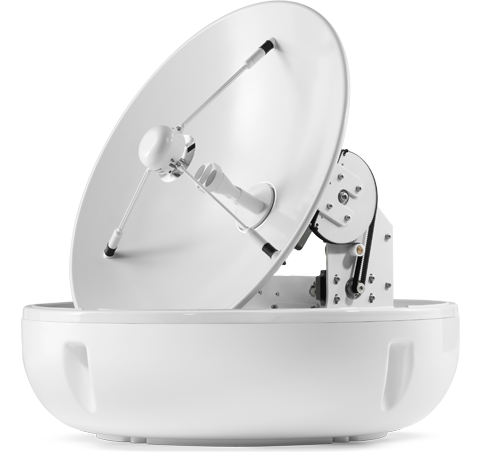 Stabilized dishes capable of multiple providers and satellite networks to offer global coverage are available, but they come at a very large price tag and tgheir physical size dictates they’re only appropriate on quite large vessels. So, if you’re planning to cross oceans on something under 80 feet it’s likely the best bet for you is going to be several well-stocked hard drives with previously downloaded content. If you’re going to spend all of your time in a single country but on the move the very best experience is likely to come from a satellite TV provider like DirecTV or Dish Network and an in-motion stabilized satellite dish. An over the air (OTA) antenna works well for those who primarily keep their boat in a single city, or are willing to forgo TV until they get near another city. Streaming options work well regardless of your location but require robust internet connectivity. Let’s go through the options, their plusses and minuses. If your boat primarily stays in a single area and you are interested in watching programs on the major networks or local channels, broadcast TV can make great sense for you. Reception will vary depending on your location and the antenna on your boat, but these days just about all over the air broadcasts are in HD. If you’re interested in recording over-the-air TV you will need some sort of digital video recorder (DVR). You can buy a device like a Tivo Roamio or Tablo DVR or run software like Plex, Emby, or Silicon Dust DVR. These software options use over the air tuners like Silicon Dust’s HDHomeRun line of tuners to tune in available programming and record it. Those recordings are then available on a wide range of devices including PCs, tablets, phones, Roku, FireTV, AppleTV and many smart TVs. When these packages work they’re a great option. Reliability has proven to be challenging in my time using them. Starting with broadcast TV and then complementing that with streaming services can be among the most cost effective options. For many, satellite TV on their boat is the ultimate way to receive television. Stabilized satellite dishes are capable of receiving TV anywhere within a provider’s broadcast footprint underway, at a dock, or at anchor. Satellite TV services are all pay services so a subscription is required with the provider. In the US those providers are either Dish Network or DirecTV. There are two basic bands satellite providers use, Ku and Ka. Originally all the providers used Ku and all the stabilized in motion dishes were built for this band. As part of the move to HD DirecTV migrated nearly all of their programming to Ka. The Ka-band presents a smaller target in space and requires much higher precision in the stabilization and tracking systems within the dish. 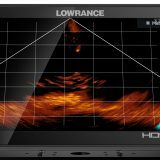 The two least expensive options for receiving Ka are the KVH TracVision HD-7 with a suggested retail of $12,995 and the Intellian S6HD with a suggested retail of $9,995. Ku dishes start with Intellian’s i2 which lists for $2,695 and KVH’s TracVision TV1 which also lists for $2,695. With Dish Network you will be able to receive HD broadcasts on a Ku dish but the programming comes from three different satellites. So, if you have multiple TVs on the boat they all must watch TV from the same satellite at the same time. All satellite providers offer receivers with DVRs built in so you have the option to record what you receive. AT&T, who bought DirecTV a few years ago, has said they hope to migrate their satellite subscribers to DirecTV Now, their streaming TV service, by 2020. I’m not sure they stand much chance of making that goal but, at least for me, it casts some doubt on making a nearly $10,000 investment on an in motion dish capable of receiving Ka band broadcasts. KVH has published a great comparison between Dish and DirecTV for boaters. 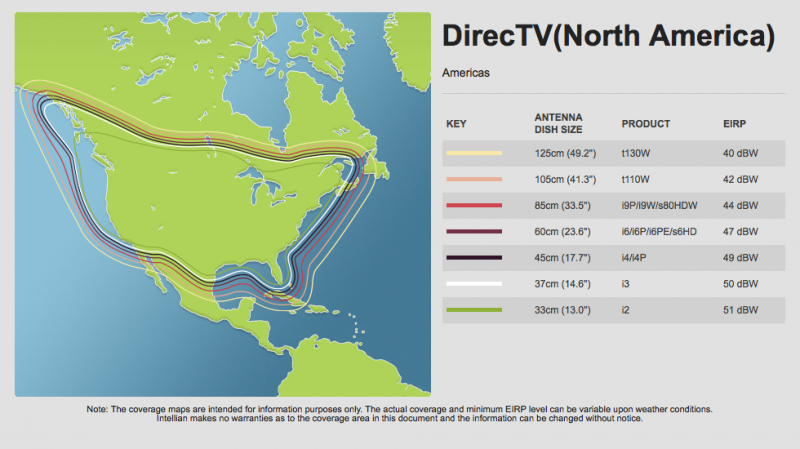 It’s available here and shows the differences as well as coverage maps and approximate limits of coverage by dish size. Among the factors called out in this guide is that both satellite providers in the U.S. use spot-beam technology to deliver your local networks. Spot-beams are directional signals from the satellites that can only be received within a few hundred miles of the intended area. You may be able to receive New York or Los Angeles locals but receiving approval to do this can be a maze of forms and approvals. Cable TV is limited to working dockside because, well, there’s a cable connected to your boat. Cable is the easiest way for marinas to deliver TV to your boat but, because it only works dockside, it’s also the least flexible. If you’re out for the day or travelling away from your home marina you won’t have any TV. Most marina cable offerings are limited because they typically don’t distribute cable boxes and so you’re limited to unencrypted channels. Frequently this also means programming is limited to standard definition. If a cable box is provided you may be able to get a cable box with a DVR. With a DVR you could record programming while at the dock that could be watched while away from the dock. With the emergence of cord cutting, the practice of canceling traditional pay television and relying on streaming services, there are now many more options and these can be just as practical on a boat with an internet connection as they are at home. 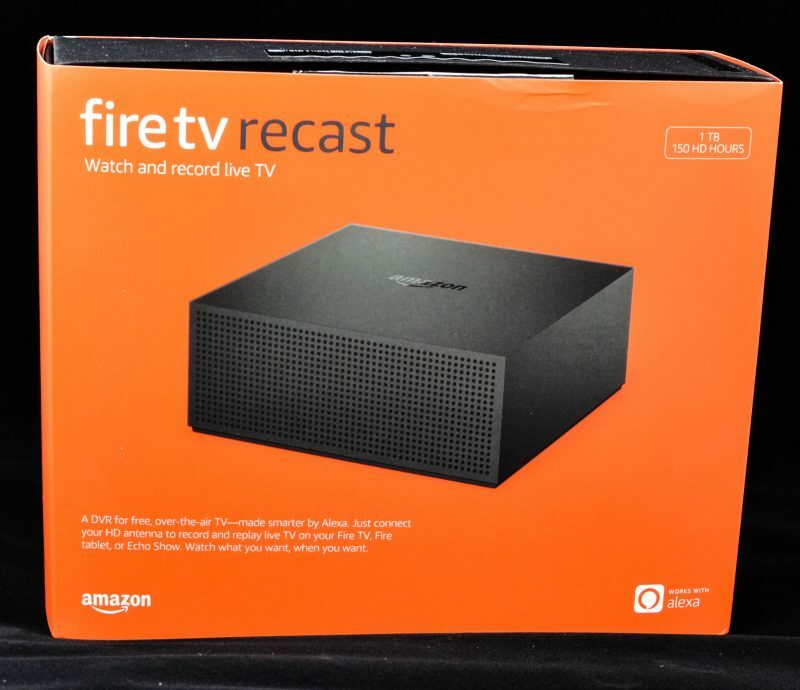 These include programming from Netflix, Hulu, and Amazon Prime as well as live TV streaming from services like Sling TV, DirecTV Now, YouTube TV, Hulu Live TV, PlayStation Vue, Fubo TV and a handful of others. Over the last year, I’ve experimented with nearly all of these services. 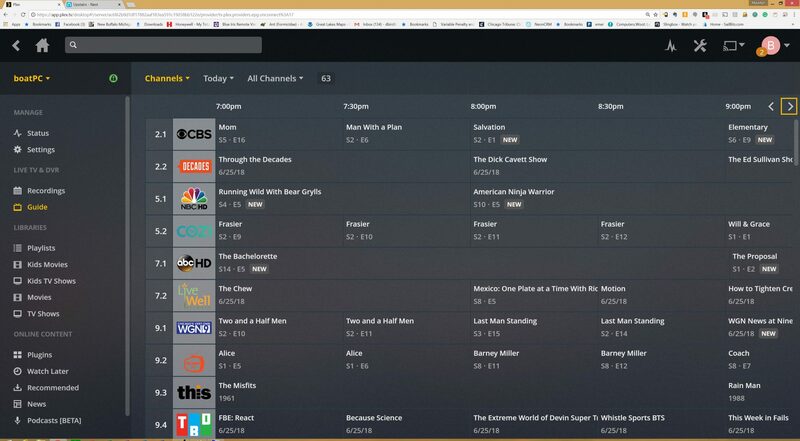 I’ve found the original content services like Amazon Prime, Hulu, and Netflix work quite well and reliably, however, the streaming live TV offerings have proved far less reliable. I have tried YouTube TV, Hulu Live TV, PlayStation Vue, and DirecTV Now. Between the various compatibility challenges, bugs and reliability challenges I encountered none of the services proved ready for regular service. I’m confident many of the challenges I encountered have been or will be resolved and I truly believe IP delivery is the future of TV. I’m just not sure that future is totally with us yet. In addition to the services I’ve mentioned above, many of the individual networks have streaming options. So, if you subscribe to cable or satellite at home there’s an excellent chance you have access to their content either via individual or via their website. 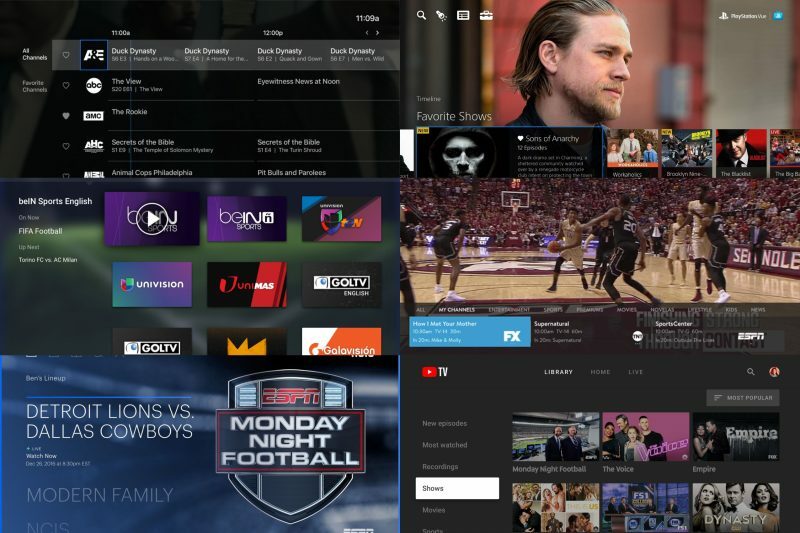 Streaming services offer a mix of cloud-based DVR functionality and on demand programming. On demand allows you to watch a show some time after it’s been aired, usually 24 hours, and usually with un-skippable commercials. 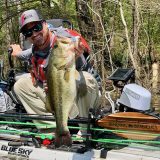 Streaming’s biggest downfall is it requires an internet connection, a topic I’ve covered in my article on our connected year on the water. I’ve found that if we can manage about 5 megabits per second we can pretty reliably stream anything we want. But, if you’re out of coverage for internet connectivity you will also be without TV. I use Amazon Fire streaming sticks on the boat. At $39.95 they’re cheap enough to put one on each TV on Have Another Day without even having to think about it. Application support is pretty good with all the major streaming services represented but only some of the live TV streaming options. There are many options including Apple TV, Roku, smart TVs, and a myriad of other devices. One last consideration with streaming live TV services is that because of their contracts with the networks they frequently have to enforce geographical restrictions. This most often means you won’t be able to watch stations local to your home area if you’re not in your home area. So, you probably won’t be able to watch your local news live if you’re 1,000 miles away from home, but you probably could use their cloud-DVR to record it then play it back later. Deciding on the best way to receive TV on your boat is largely a factor of how you expect to use your TV and your budget. We live on our boat much of the year and I have young children. So, once they go to bed my wife and I retire to the couch in the salon and watch some TV. 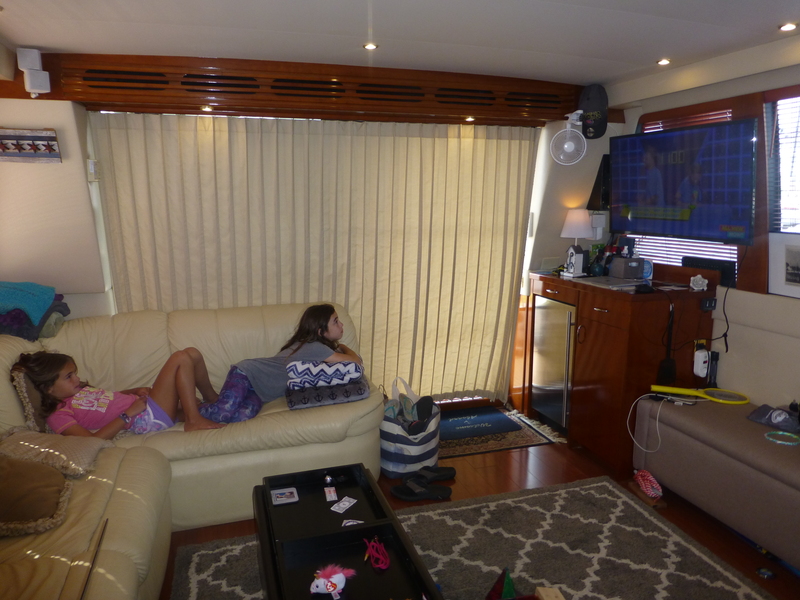 As a result, it’s pretty important to us that we have a viable way to receive and watch TV on the boat. Your own boating and cruising habits may dictate a different solution. If you frequently travel to the Bahamas satellite may deserve stronger consideration as you will likely be able to receive TV through much of the islands and roaming cellular bandwidth is more difficult. If you’re a die-hard sports fan finding the mix of programming options that ensures you can watch your favorite teams can dictate what solution works best for you. With the rapid changes in television delivery taking place now there’s a good chance you can find something that will work for you now, but if you can’t new options are coming quickly enough that challenges and frustrations you experience today may well go away in the near future. Possibly to be replaced by new ones. 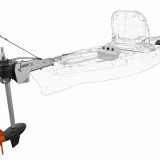 I’d love to hear from all of you about what you’ve done on your boats and how it has worked out. I am curious about the trackvision A9 as a less expensive option. Is is marketed to the RV market but not marine. Is that because it needs a more stable surface? The A9 is under $5k and seems to offer most of what the more expensive dishes offer. Pat, great point about the Tailgater. In addition to the Tailgater there are self aiming dishes (that find the satellites automatically but don’t track them in motion), tripod mount and single axis stabilized dishes. I suspect the A9 may be a single axis stabilized dish. It’s stablized for movement of the vehicle but not for rolling or pitching as on road vehicles don’t do as much of that. I’ll take a look. The biggest challenge to the use of streaming services is data caps. If you are out and about, chances are you are using a wifi hotspot. Good luck finding an affordable plan that supports sufficient data allotments to support streaming. I am long over getting excited about the latest greatest “unlimited plan”. Ironically, they are too limited to be viable. We have been quite happy with the DirecTV Now service, running on an AT&T unlimited plan. Linksys cellular modem to boat’s AC1900 router (feeding a number of things including a Roku with the DirecTV Now app). Data for TV is supposed to be exempt from the 50GB throttling cap. Bandwidth has been very satisfactory, considering we were on FiOS in our land home. Thanks, Ben, but I can’t figure out which AT&T unlimited plan you’re using. Is it an “Unlimited &More Premium” plan where you’ve somehow gotten one line to be a SIM card that works in the Linksys modem? PS for possibly confused readers: AT&T Ben is not the Ben Stein who wrote this entry, nor am I. To clarify, we have two iPhones and one cellular modem device (correction, it’s actually a Netgear LB1121, not Linksys) that share an AT&T ‘Unlimited Plus Multi-line’ package (per the bill). It appears to match the “Unlimited & More Premium” one mentioned above. At the time we switched from a regular family plan, to the Unlimited plan in order to transition to life aboard, they also had a promotion for adding DirecTVNOW; we have a 65 channel plan that includes 20 hours of cloud DVR, 2 simultaneous streams, and free HBO, all for $25 per month. We use a combination of cellular, and marina wifi to access the content. Hi Ben, 2 floats away from you. Dish Network has mobile pay by the month accounts with no shut off fee. Easy and fair. Direct TV on the other hand charges a fee to turn your system on and to turn your system off and also has attempted to charge me a $450 equipment recovery every fall even though I own MY KVH Equipment and sat reciever. I have spent over 30 hours on the phone over the years with their rep getting my bill corrected. Back to Dish. I went. We fall into the boating category of “escape from TV” but when we do watch when cruising our Shakespeare 3004 SeaWatch omni-directional antenna works very well. Hello Ben, Real novice questions. If ATT is going to kill Direct TV via KVH that seems to say Don’t buy the Direct TV version of a KVA. Satellite Dish. My understanding is these KVA satellite dish were not compatible between dish and Direct TV. are not compatible but need to verify that. Also, since the primary providers Direct TV and Dish have migrated to the Ka band does this mean that the legacy KVH Ku band single Satellite dishes are not functional.? Or are Dish and Direct TV they still broadcasting in the Ku bands, just not in HD? Generalizing a little because some of the specifics get confusing. The decision by DirecTV to stop broadcasting via satellite will affect all makers of receiving dishes and force a move to IP (internet protocol) delivery of programming from DirecTV. If I were betting I’d wager a fair sum they won’t make the 2020 time-frame and wouldn’t be surprised to see them slip by a lot from that date. DirecTV is currently using Ka for HD programming but still broadcasts standard definition on Ku. Dish network currently broadcasts all of their programming on Ku. Nearly all the dishes out there are capable of receiving either DirecTV or Dish programming. I agree with you that it doesn’t seem like a good way to serve their customer base. I think what at&t is counting on is that it might serve their bottom line better. Their satellite constellation is expensive to maintain. If they can get most people to move to an IP delivered solution and lose the most rural of their subscribers it might still be better for their bottom line. It won’t be better for those customers but I don’t think at&t really cares. If you have good Wifi, a Roku and DirecTv Now is an unbeatable combination. There are small Roku TV’s suitable for marine use. There is a way to send home service to a remote location. That’s with the use of a Slingbox. http://www.slingbox.com/. It’s a little clunky, but it works. Broadband is required at both sights. Control is by an ap on a smart phone or other device. It can be streamed to a Roku device. The boxes can be found on eBay, but be aware that some of the older models had manufacturing issues. Capacitor virus, I’m told. So look for re manufactured units. I picked up three units for a hundred bucks including shipping. Those units actually had a tuner built in and can be hooked up to an antenna. Newer models don’t have a RF input. In terms of data usage, is there any rough guideline for time of video per MB (GB)? For instance, if I wanted to stream a movie from a Netflix account, and I’m paying for data by the GB, how can I estimate the data hit to watch, say, a 2 hour movie? Netflix help says their video ranges from 1-3gb per hour depending on resolution. I think that (fairly wide) range is probably a good indicator across the other streaming services.